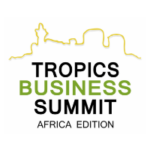 The 3rd annual TROPICS BUSINESS SUMMIT is scheduled on 17-19 October 2019 in the cosmopolitan city of Johannesburg, South Africa. In a span of three (3) days, an array of activities are staged including Conferences, Corporate Exhibitions, Capacity Building Workshops, Country Presentations, Government to Government Meetings (G2G), Government to Business (G2B) and Business to Business Networking Features (B2B), Tropics Changemakers Awards and a Pitch Competition for emerging startups. BENEFITS FOR DELEGATES, PARTNERS AND SPONSORS : This is the perfect opportunity for senior or emerging leaders and financial partners from anglophone, francophone, lusophone and arabophone markets hailing from all continents to meet their peer group, share experiences and forge new business partnerships with Africa that will create new opportunities and lead job-creation in Africa. Delegates will also have unrivalled access to updates on Africa’s leading business sectors to improve their work environment and market entry strategy onto the continent.Now in its 3rd year, this year’s summit’s activities are placed under the theme: “Branding Africa As A Top Investment Destination” is set to provide yet another exciting platform for Entrepreneurs and Investors to share insights, opportunities and experiences on what they do. PLEASE NOTE: DELEGATES WHO TURN UP TO THE CONFERENCE VENUE WITHOUT TICKETS WILL BE TURNED AWAY IMMEDIATELY. BE SURE TO PURCHASE THE CORRECT TICKET ON-TIME AS SPACE IS VERY LIMITED. ENQUIRE ABOUT PAYMENT METHODS BY EMAIL AND SECURE SEAT(S) BEFORE JULY 27TH, 2019. To register, you can also print the registration form above, fill in and submit your form by email immediately. 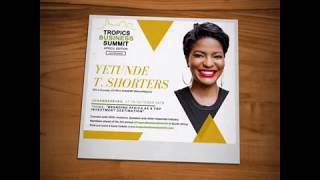 To get the latest updates, kindly follow #TropicsBusinessSummit or #TropicsBusinessSummit2019 on social media.